A silvery moon on a spring night; a star that glistens reaches its peak and then disappears. A symbol of passing time, living time and the moon that entrances us with its rounded, delicate lines the new Longines PrimaLuna is a tribute to this silvery star. Its soft silhouette is enhanced by the exquisite purity of the dial and the whole is illuminated by a play of sparkling diamonds. 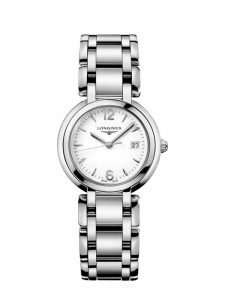 Graceful, magical, this is a model that will seduce women who appreciate contemporary, sophisticated elegance. The Moon has been used to measure time by every civilization; this night star is feminine, cyclical and eternal. A star that produces dreams! In many cultures the New Moon is a symbol of renewal when it marks the beginning of a new year or the arrival of spring. To pay tribute to this mystical star, the famous Saint-Imier watchmaker is launching an exquisitely fine interpretation of the magic of the Moon this year: the Longines PrimaLuna. The delicate gleam of stainless steel, the rich hue of rose or yellow gold, or the blend of rose gold and steel. A sleek bracelet of steel, gold or steel and rose gold or a leather strap. A selection of heavenly dials: white, silvered or mother-of-pearl decorated with hour symbols, Arabic or Roman numerals or diamonds. And finally, three hands, blued, gilded or rose, that marks the passing of time. 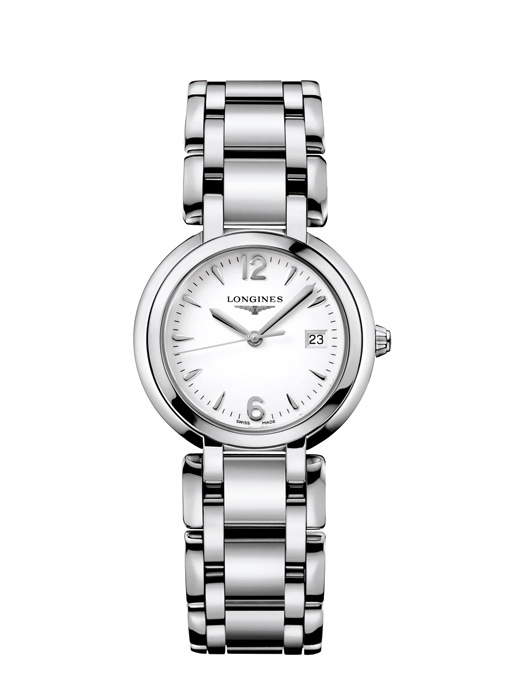 As multifaceted as the modern woman, the Longines PrimaLuna range offers a selection of models in four sizes. This ladies’ watch is at the same time a piece of jewellery. The pleasing curves of the case are enhanced by a play of diamonds. Precious pieces of pure carbon that glitter with fascination… so feminine! Similarly, the white mother-of-pearl dials of the most sophisticated models are also decorated with sparkling teardrops that will seduce any woman who appreciates diamonds. Resolutely elegant, contemporary, subtle and carefree. The new Longines PrimaLuna offers to every woman, every modern Sheherazade, to each luminous, unique female a magical world represented by this new collection of exquisite models. Based in St. Imier in Switzerland since 1832, the watchmaker Longines can look back on more than 175 years of non-stop craftsmanship, as well as a solid heritage as timekeeper for world championships in various sports and collaborator with different international sports federations. 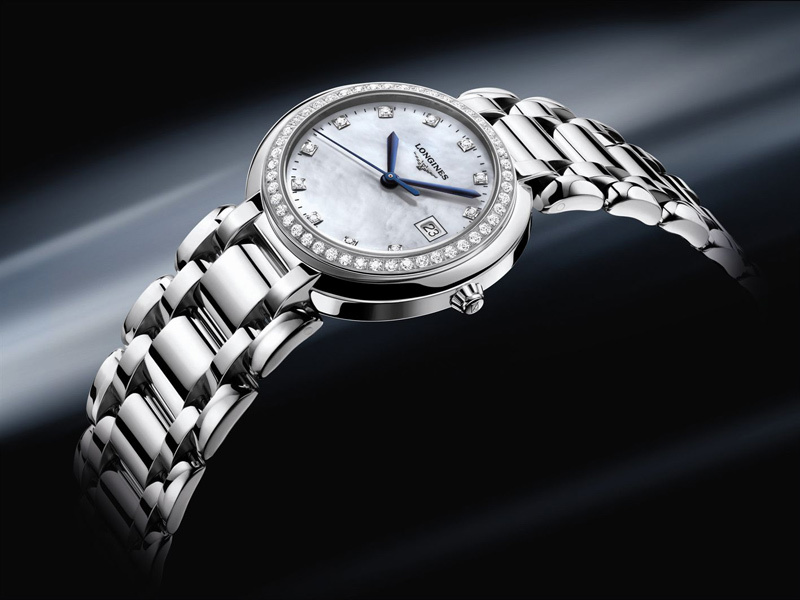 Known for the elegance of its timepieces, Longines is a member of the Swatch Group Ltd, the World’s leading manufacturer of horological products. With the winged hourglass as its emblem, the brand has outlets in over 130 countries.